Disinfection of water with UV radiation is a process which prevents the growth of pathogenic microorganisms that can cause various diseases. 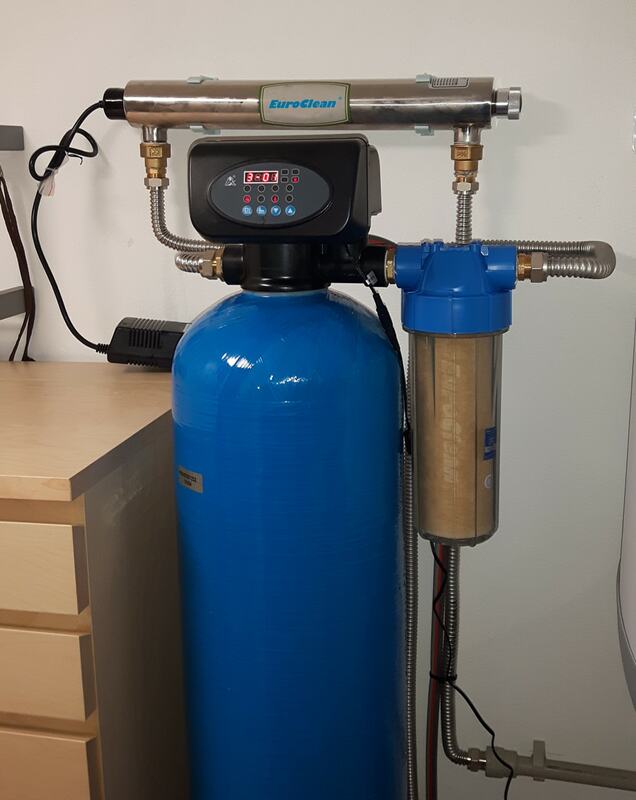 Its objective is hygienically safe water, which does not affect human health even in long-term regular use. 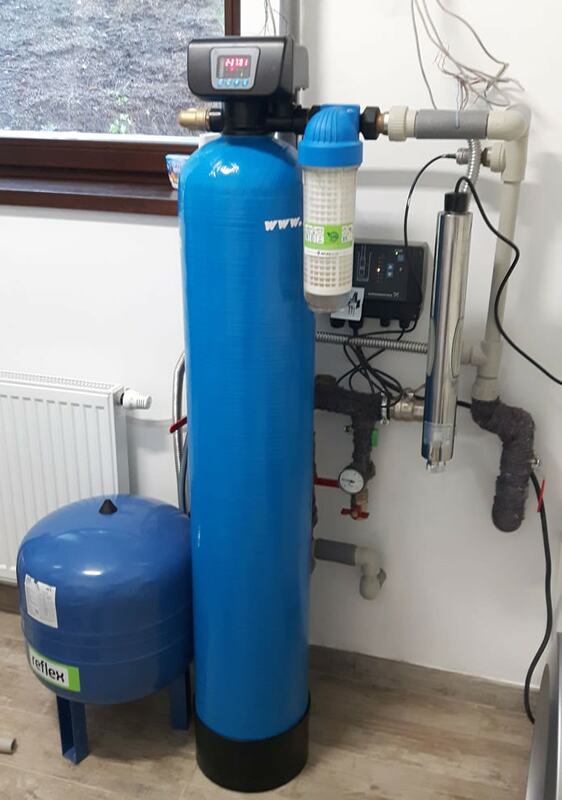 It is a modern and ecological way of disinfecting water without chemicals, meeting all legislative requirements. 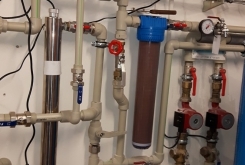 UV lamps are ideal for the disinfection of utility water or even waste water. 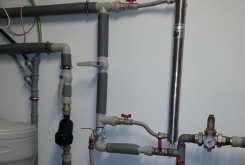 The device consists of a stainless steel cylinder with sockets for connection to the piping system and the power supply. A sealed tube of quartz glass fitted with a UV fluorescent lamp is inserted inside the cylinder. Disinfection itself takes place when the water flows through the lamp when the current is illuminated – the radiation causes that the genetic information of the bacteria and viruses gets damaged, and their cells get disintegrated. 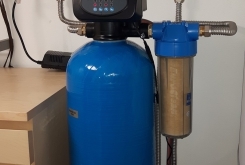 Since the quality of disinfection with UV lamps depends on the purity of the water flow, a filter of mechanical particles and turbidity is provided to ensure the optimum functionality of the device. The whole process is only physical, without the use of any chemicals. The germicidal effects of the lamp are unfortunately not permanent. 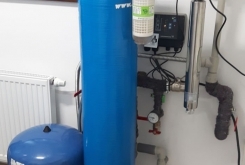 The treated water is intended for immediate consumption, otherwise there is a risk of re-growth of the bacteria (for water retained in reservoirs and tanks it is more appropriate to use chemical disinfection – AquaDos or OXCL systems). The lifetime of the fluorescent lamp is approximately 8000 operating hours. 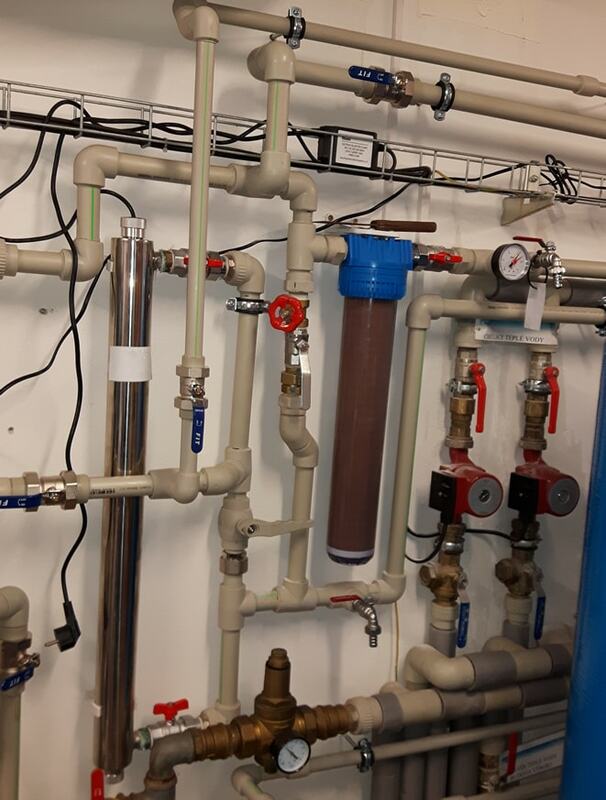 The UV lamp is connected directly to the pipeline via standard sockets. After checking the tightness of the connections, the power adapter of the lamp is connected to a socket (230 V) and the unit is immediately operational. 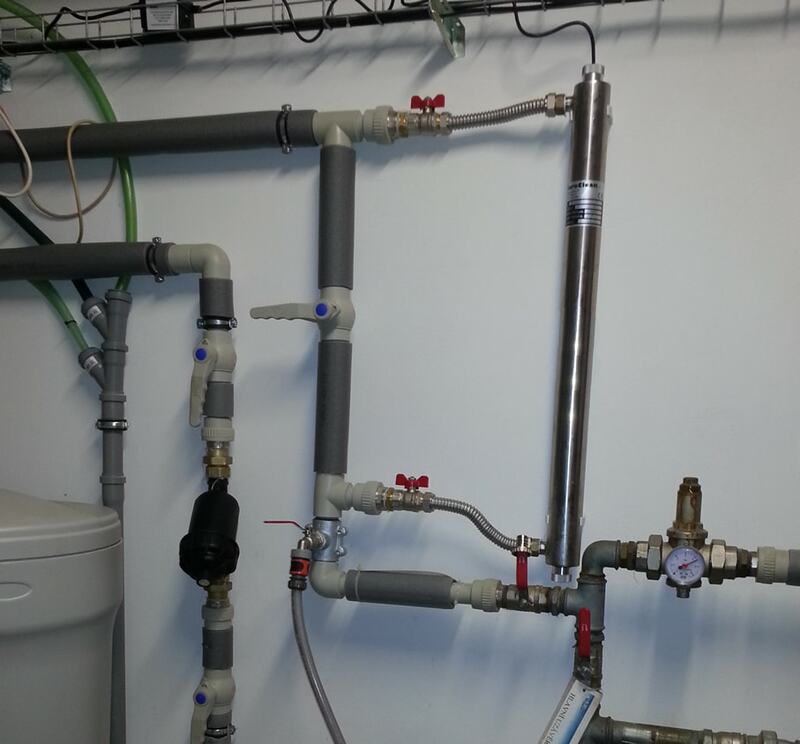 In addition, it is only necessary to check the pre-filter visually and eventually replace a clogged filter cartridge. If there is an unusual reduction in lamp efficiency, it is also necessary to check that the silicon tube is not covered with mineral or organic coatings and, if necessary, clean it. Lamps are characterized by a maximum flow rate that must not be exceeded to ensure the required disinfection efficiency. If the flow is higher than the capacity of the individual lamp, assemblies of several UV lamps connected in parallel are installed.